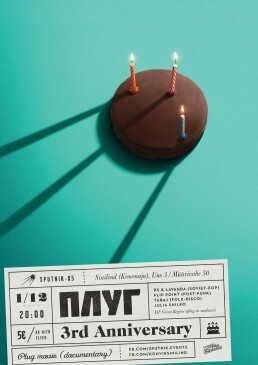 Sputnik is celebrating Plug’s 3rd anniversary. The primary poster idea was to show the right perspective where the light hits the cake and it drops the sputnik shape shadow. 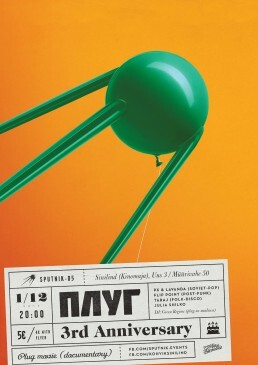 Secondary poster had to reflect festive celebrational mood by showing the sputnik-shaped balloon.